I love this quote! 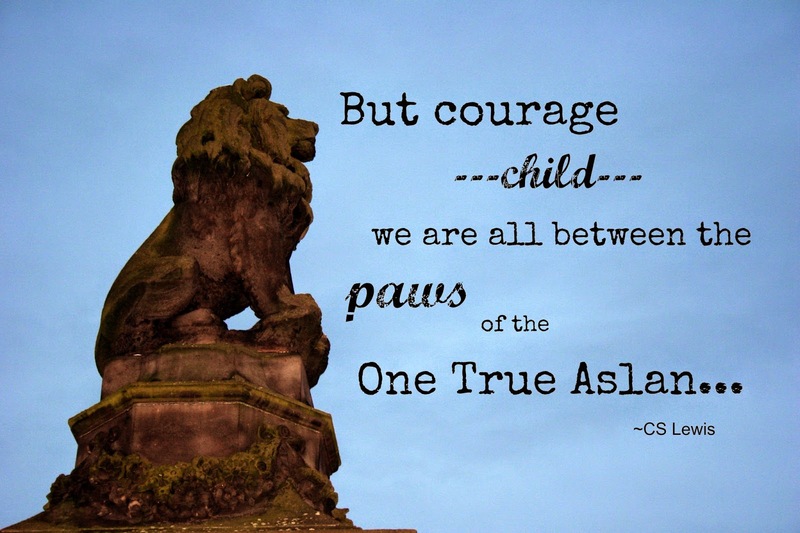 I'm sure in part because I so love Chronicles of Narnia:) But I also love the idea of our Lord as a lion. So tough and fighting for us. Knowing the raw power those paws possess, and yet they are gentle enough to hold us within them. How can we not have courage knowing He's the one holding us? Praying whatever you're facing today you feel his strength around you, fighting for you and protecting you all in the same breath. Great quote, and I appreciate the prayers. Isn't it comforting to know how powerful our God is? Ooh, great quote and picture. I'm very partial to lions b/c of the meaning of my name!